Etizolam is a synthetic medicative substance that depresses the central nervous system. It is a receptor agonist for gamma-aminobutyric acid (GABA) inhibitory neurotransmitters, a type of neurotransmitter that impacts motor control vision, and related cortical functions. This medication, sold in the markets of India, Japan, and Italy, is an effective muscle relaxer, sleep aid, sedative, anti-anxiety substance, and anti-convulsion substance. This medication is usually used in short-term treatment plans. Etizolam typically comes in pill form but is sometimes taken in a powder state. The onset of action varies based on ingestion method. Usually, effects can be observed with an hour of swallowing and last for several hours. Different factors may influence duration such as sleep cycle and the consumption of food and other medications. Do not taken with alcohol, other depressants, or without the guidance of a physician. What Makes Etizolam Different from Other Medications on the Market? Unlike a similar and more common class of substances called benzodiazepines, Etizolam is a Thienodiazepine, meaning that the benzene ring is removed and replaced by a merged thione and triazole ring. Similar drugs that belong to the benzodiazepine class include diazepam. Another notable facet of Etizolam is that according to the World Health Organization, it is six to ten times the potency of similar medications such as diazepam and valium. For those who suffer from intense anxiety, convulsions, or sleep issues, Etizolam may pack the extra punch needed to control these issues. One study by Massimo Casacchia, Francesca Bolino, and Ugo Ecari found that Etizolam is more effective at treating generalized anxiety disorder (GAD) than related drugs and result in fewer side effects and fewer withdrawal symptoms. One of the biggest factors to consider before taking any brand of Etizolam is whether or not it is approved in your country. After extensive animal testing, this medication is on the market is places like Japan, India, and Italy. However, this substance is not yet controlled or regulated in places like the United Kingdom and United States; therefore, it cannot be accessed in pharmacies or via prescription. It is considered a research chemical in the United states and not for internal use. It is illegal in the following U.S. states: Alabama, Arkansas, Georgia, Florida, Indiana, Mississippi, and Virginia. Although this medication can be obtained through online sources, due to the potency, it is best to use this medication under the guidance of a trusted physician. She or he will be able to determine how this medication will interact with other medications being taken and existing health concerns. What are the Potential Benefits of Taking Etizolam? What are the Potential Side Effects of Taking Etizolam? Currently, there are 6 main brands: Etilaam, Etizola, Sedekopan, Etizest, Pasaden, and Depas. These brands produce dozens of varieties of Etizolam based on factors such as dose and consumption form. These specific medications include: Arophalm, Capsafe, Depas, Depas 1%, Dezolam, E1, Eticalm, Etisedan, Etizola, Etizola Beta, Etizolam Amel, Etizolam EMEC, Etizolam KN, Etizolam Nichi-iko, Etizolam Ohara, Etizolam SW, Etizolam TCK, Etizolam Towa, Etizolan, Mozun, New Zomnia, Nonnerv, Palgin, Pasaden, Sedekopan, Sedekopan 1%, and Sylkam. 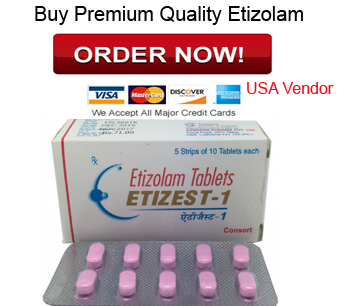 According to online sellers of Etizolam, the two most reputable brands are Etilaam and Etizest. Etizest is often considered the industry benchmark. These two brands are considered the most reputable in the industry because they have been creating and selling Etizolam for the longest period of time. Other brands are newcomers to the pharmaceutical scene. Each brand of Etizolam offer a variety of dose options. An ideal dose will be based on factors such as size, metabolic rate, age, treatment plan, other medications, and what is being treated. Lighter doses are typically intended for anti-anxiety purposes; in turn, stronger doses are typically intended for muscle relaxation and sedation. Brands that offer 0.5 to 1 mg doses are considered light. Brands that offer 1 to 2 mg doses are considered regular or common. Brands that offer 2 to 5 mg doses are considered strong. And, brands that exceed 5 mg are considered heavy. It is recommended that users not exceed 3 mg of this substance in any brand per day. As with most medications, to reduce potential complications, it is best to seek out low doses before progressing to higher dose options in order to build up tolerance if there is an insufficiency in the medication. Examples of low dose options are Etizola 0.5 MD, Anixicool 0.5 mg, Etirest 0.5 mg, Etizola 0.5 mg, Sylkam 0.5, Etilaam 0.5, and Etilaam MD 0.5 mg. The NTI measures drugs in which small differences in dose or concentration may result in significant failure or adverse reaction that renders a user disabled, incapacitated, or in fatal condition. Depending on why someone takes Etizolam, this may be relevant. Extensive research on epileptic patients reveals that those with seizures react equally well to all brands of medications at first; however, after a couple weeks, they are more likely to go to the doctor or emergency room for related issues. As such, if using Etizolam to treat seizers, it is best to chose the brand of origin and refrain from frequent medication modifications. Although most Etizolam comes in pill form designed to be swallowed, some brands of this medication produce mouth-dissolving tabs. Dissolving tabs are marked with “MD” and include options such as the Etizola MD tab and the Etilaam MD tab. Some consumers seek Etizolam powder as opposed to pellets as a way to save money, but reliable brands do not offer this form of Etizolam because doses can easily be misjudged resulting in dangerous and unintended side effects. For some people, packaging plays a significant role in whether or not they take a medication. Is it difficult to open and access the pills or tabs? Is it easy to lose? Is it discrete? Is it environmentally friendly? Is it easy to puncture? Does the coating on the tabs vary from brand to brand? Does the shape of tab differ, making it more or less difficult to consume? The best forms of Etizolam are tablets covered in film and packaged in an aluminum blister packet. Tablets can easily be pushed to puncture to foil, an easy way to keep track of how many pills have been taken and how many pills remain. These packs are conducive to ease of storage and ease of use for consumers. Most varieties of this pill come in blue, pink, white, yellow, or red. This varies within brand based on which dose is selected. Etizolam’s chemical name is 6H-tieno[3,2-f][1,2,4]triazolo[4,3-a][1,4]diazepine, 4-(2-chlorophenyl)-2-etyl-9-metyl-. Its unofficial synonyms are AHR 3219 or Y 7131 depending on its country of production. Its pharmaceutical name is JP XVI. This information should be consistent across all brands of Etizolam. All manufacturers of Etizolam are WHO-GMP certified. Etizest is manufactured by an organization called Consern. Etilaam is manufactured by an organization called Intas. Etizeal, Etibest, and Etilee are all manufactured by an organization called Kachhela. The strength and effectiveness of any medication may vary if purity of the substance is reduced. Finding a reputable vendor is vital in ensuring that the right product is obtained. Reputable vendors will be able to answer questions about their products honestly and accurately. Stick with known, verified brands and avoid products labeled as sample packs. Check the legal status of vendors before committing to a purchase. Brands with the highest quality control will typically offer the purest form of the medication. In terms of specific brands offered by vendors, some consumer reviews note differences between the brands of Etizolam and their purity. For instance, some consumer reviews of Etilaam state that it is being under dosed, although this claim has not yet been confirmed by research studies. As with any medication, generic or alternative drug brands have a set of stands by which they must abide. In the United States, these standards are set by the Food and Drug Administration (FDA). Generic brands must obtain the same number of milligrams of the drug that is on the pill with no variance, and the pills must be shown to bring the blood levels within 10 percent of the original brand’s drug. However, inactive ingredients are largely unrestricted. If sensitive to certain binding materials, dyes, preservative, or flavoring agents, inspect ingredient lists carefully before committing to a certain brand of Etizolam. The particulars of these standards vary by country. The degree of variance is something to be aware of when contemplating the distinctions between brands of Etizolam and is largely shaped by manufacturer and country of production.